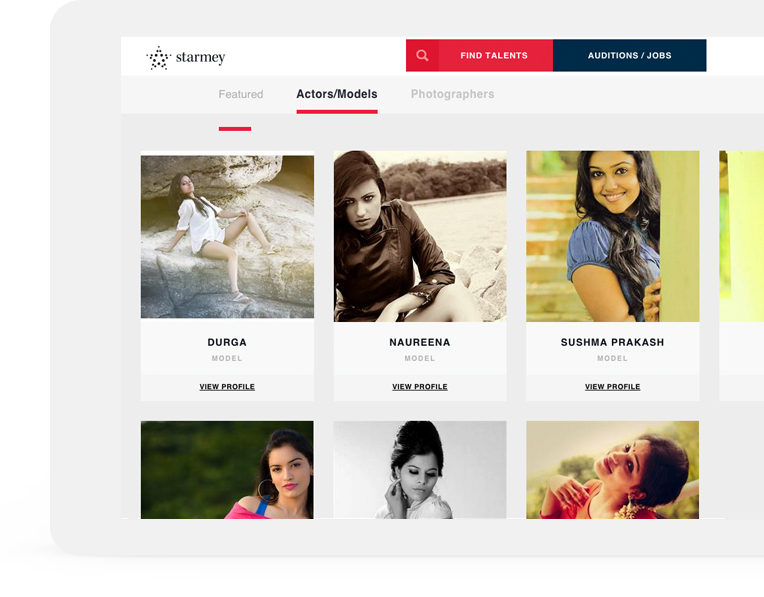 Starmey.com is a professional networking platform serving the entertainment industry, by grouping all creative talents under one roof. Today every social media site have user profiles. It is very challenging to build a portfolio page that give a different experience from other sites. 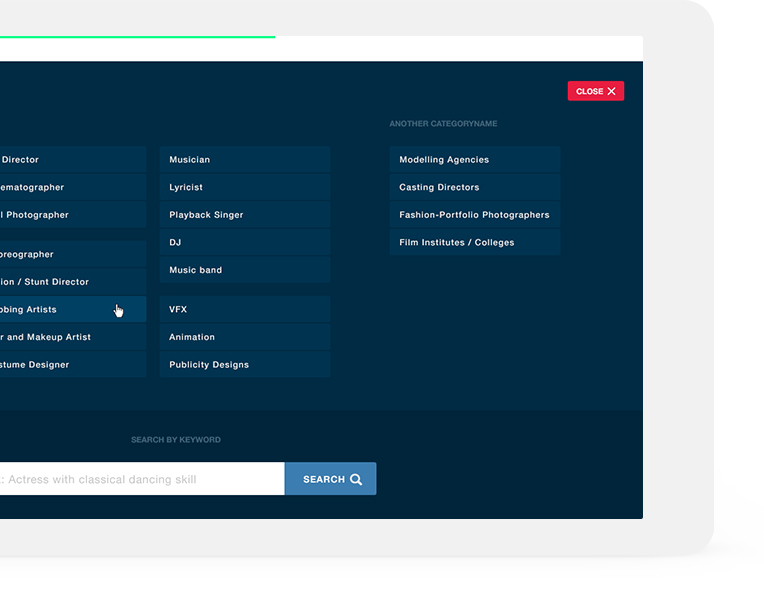 We proposed the idea of personal microsite instead of just profiles. Thus their portfolios will even work from their own independent domains (ex: www.yourname.com). A global search engine helps to find talented professionals with an algorithm to push most happening artists to the top. Easy to use filters to fine tune profiles according to the need. It’s more important for us to build this session easy to understand even for non-technical users in the industry. 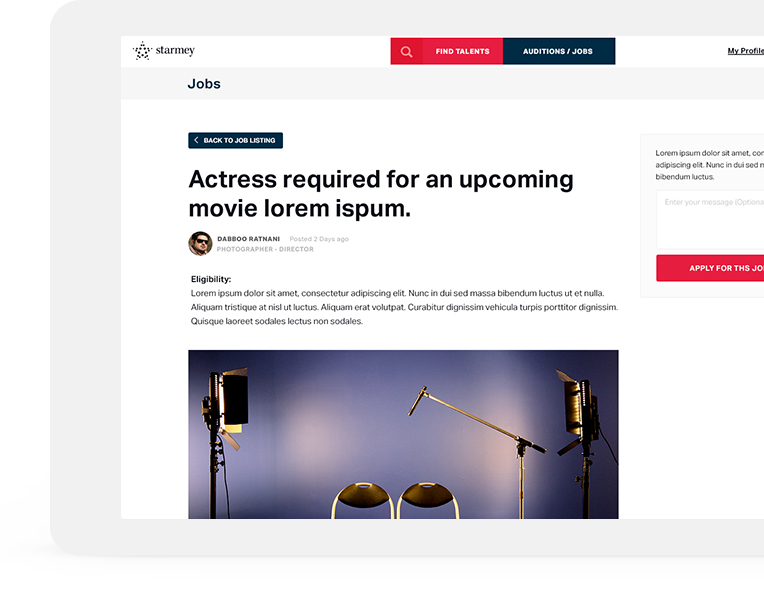 The job page is highly sophisticated with provision to add all supporting media. 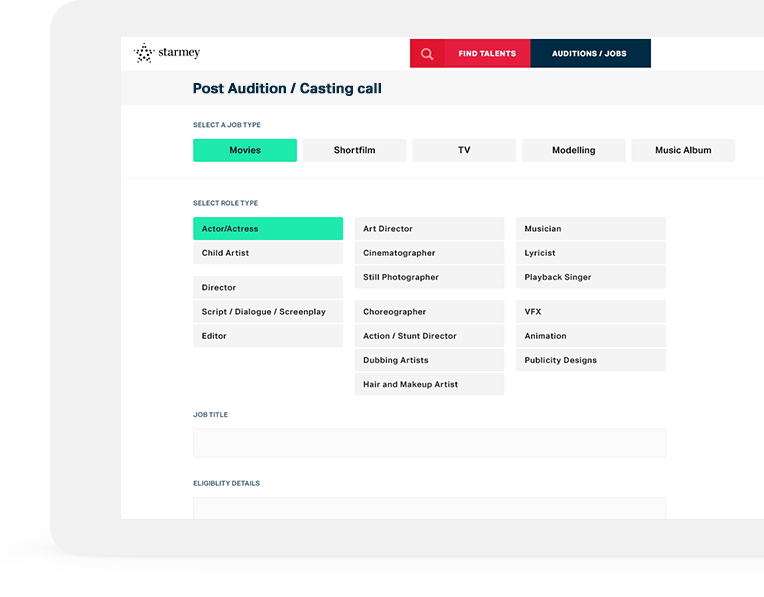 A normal job site fields are not enough for auditions. Talents may require to submit photo or maybe videos. Copyright © 2015. Cynere™. All rights reserved.